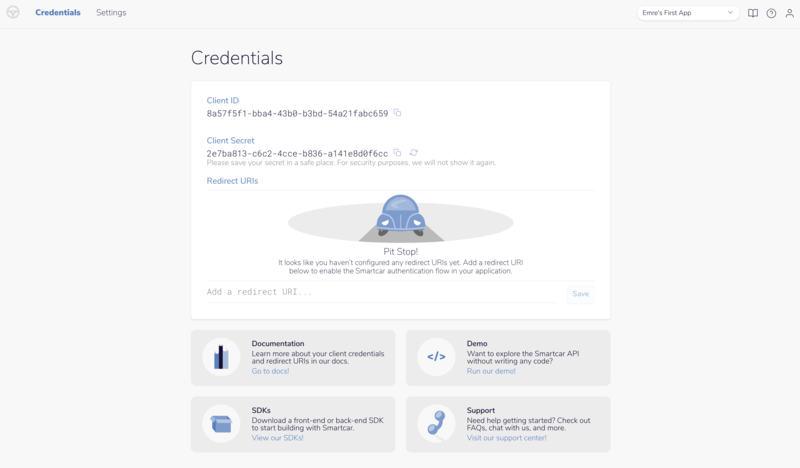 When you log into the Smartcar developer portal, you'll receive a set of parameters needed to (1) let users authenticate with their cars using Smartcar and (2) make requests to the Smartcar API after a user has authenticated with their vehicle. Client secret: this value is known only to you (the app developer) and Smartcar's authorization server. Treat this like a password. To learn more about these configuration parameters and how to use them to authenticate with Smartcar, please refer to our docs.